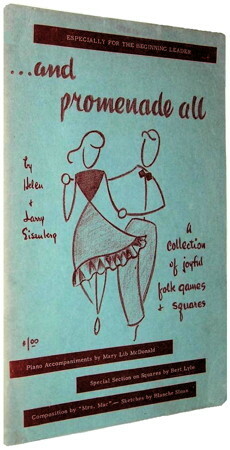 Information: Helen and Larry Eisenberg, authors of square and folk dance books and records. ...and Promenade All, Eisenberg, Helen and Larry. Self published, 1952. The World of Fun Series of Recreational Recordings. Nashville, Tenn.: Methodist Publishing House, 1951.